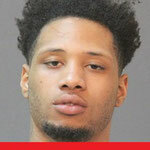 On Monday, June 26 at approximately 10:00 a.m., a CPSO Vehicle Crimes Investigative Unit (VCIU) detective responded to a complaint of five vehicle burglaries of unlocked vehicles in the area of Gulf Highway and one complaint of a vehicle burglary of a locked car, where the suspect busted a window, in the area of E. Gauthier Road in Lake Charles. 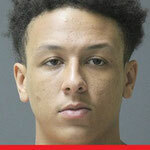 During further investigation VCIU detectives were able to identify the suspects responsible for all six vehicle burglaries as John M. Guillory, 18, Darrien C. Guillory, 19, both of 2006 19th Street, Lake Charles, and Charlie Y. Guillory, 20, 4349 Gorden Woods Drive, Lake Charles. 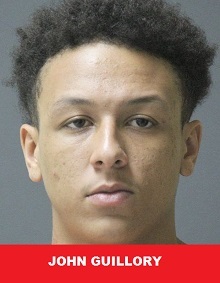 On July 17 after detectives interviewed John Guillory, he was arrested and booked into the Calcasieu Correctional Center. 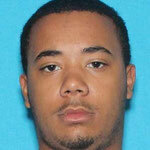 Judge Clayton Davis set his bond at $5,500. 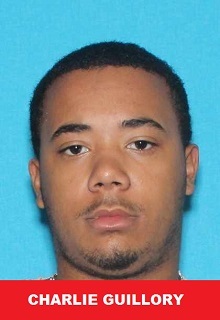 Several days later on July 19, Judge Clayton Davis signed a warrant in the amount of $4,600 for Darrien Guillory’s arrest and $4,300 for Charlie Guillory’s arrest. 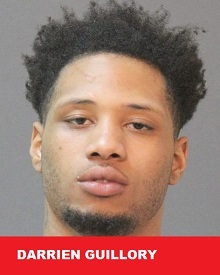 On July 21, Darrien Guillory turned himself in to the CPSO Warrants Division and was arrested and booked into the Calcasieu Correctional Center. They are all being charged with 5 counts of simple burglary; 4 counts of theft under $750; and simple criminal property damage. The Calcasieu Parish Sheriff’s Office is asking the public for assistance in locating Charlie Guillory (picture attached). If anyone knows his whereabouts please call CPSO lead Detective Greg Nall at (337) 491-3747 or Crime Stoppers at (337) 439-2222.